The study “Meta-analysis of the associations between TNF-α or IL-6 gene polymorphisms and susceptibility to lung cancer” has been cited twice (once by its retraction notice), according to Clarivate Analytics’ Web of Science, formerly part of Thomson Reuters. We contacted the journal’s editors-in-chief to learn more about how the journal discovered the problems with the paper, who forwarded our query to BMC; a spokesperson referred us to the retraction notice, and the authors. We’ve contacted Zhou Wei, the study’s first author, who is based at Ningxia Medical University in Yinchuan, China. BMC has been in the news lately: This week, the publisher announced it was retracting another 28 articles for a host of problems, including authorship problems and fake reviews. In that latest batch of retractions, most of the authors are based at institutions in Iran. We’ve counted a total of more than 300 papers retracted for faked, rigged, or compromised peer review. Here’s our 2014 Nature feature on the subject if you need a bit more background. This is also one of many studies that we’ve seen pulled due to the actions of a third party; here’s a column our co-founders wrote for STAT regarding one such case. And what is the name of this third party? the authors had used a third party to help with copyediting and submission to the journal, raising concerns about the authorship of the paper. The paper is a meta-analysis, following the standard template for a product of one of the Chinese meta-analysis paper mills. Shouldn’t the journal have inquired more deeply into questions of authorship, rather than waiting for an outside institution to do the work? 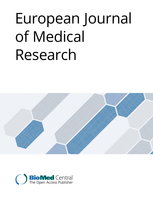 One wonders how many similar papers are lurking in the contents of European Journal of Medical Research if it has a reputation for not asking questions. Mind you. the paper could be 100% genuine but it would still be just another example of the trivial, pointless meta-analyses (of eight studies?!) that populate the literature. So in the journal’s defense, if they have decided to publish this piffle in the knowledge that it will never be cited, there is little point in worrying about minor issues of authorship. Previous Previous post: What should you do if a paper you’ve cited is later retracted?